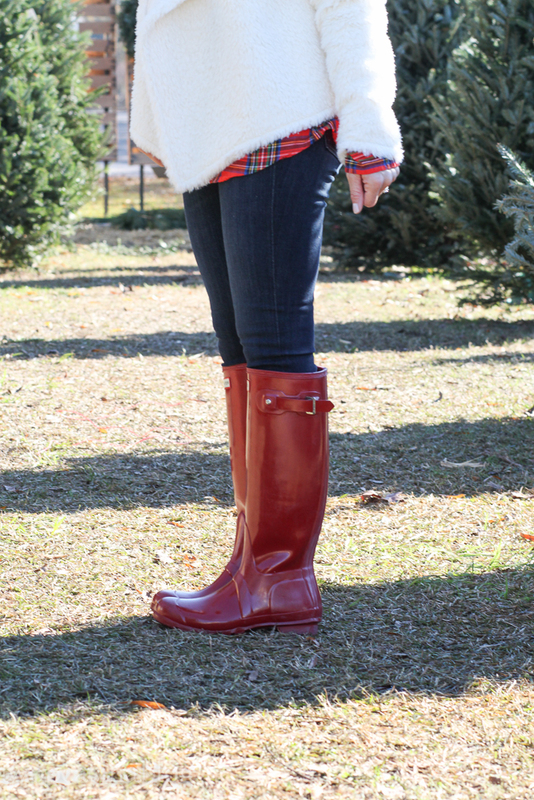 Bundled up in red and white! In the almost 16 years that my husband and I have been married, we have always had an artificial tree. For us it's just easier and less messy. Maybe one year we'll try a real tree. But for now I just put up live wreaths in our home. I love the way they smell and how they look hanging in our house. I wore this festive little number to go pick out wreaths this past weekend. I love all the touches of red! And this fuzzy jacket is so incredibly soft! Make sure you check out our Instagram page today. We are giving away a Large Block Letter Monongram Necklace from Baublebar!!! It is our favorite necklace of all time and we are thanking our readers by giving one to you too!!! 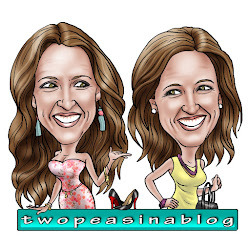 This weeks feature blogger is Shauna from Lipgloss and Lace. Her all black sleek outfit is gorgeous and the leather leggings with the leather details on the jacket are right on trend. We absolutely love the bright neon beanie. A pop of color in the winter is so fun!!! Check her blog out, her looks always give so much inspiration. This is such a cute and cozy look! Love the red! Thanks, I love all the red too!! You look adorable in this outfit! The perfect outfit for the occasion! Amy, Thanks! It was a fun afternoon! Such a cute look! Love your beanie! Laura, thanks! I've really been into beanies lately and love how bright this red one is. Awww this is so cute - the red touches are adorbs! Thanks Rebecca! I thought I'd dress in red for the tree farm. This is s super cute outfit and love that white jacket! Thanks, the jacket is super soft and cozy!! These pictures make mew ant to go to a Christmas tree farm! Love your plaid top! Emily, thanks. It was a fun afternoon there, and it smells so good!!! I am in love with your jacket!! Actually, the whole look! SO pretty! How sweet, thanks! I love the jacket too, super soft!! I love the polka dot bow on your wreath! So cute! Thanks, it was polka dots or stripes! I love how fun the polka dots look. Thanks! I loved wearing all the red! Love this look! We bought a fake tree a few years ago and I do miss the smell of fresh trees. I need to go and pick out a wreath so I can have the best of both worlds. Alice, thanks for stopping by! The smell is just amazing. We'll be sure to do your link up Thursday. This has to be the cutest Christmas tree hunting outfit I have seen yet! So festive! Thats sweet of you to say! It was fun looking at the trees. 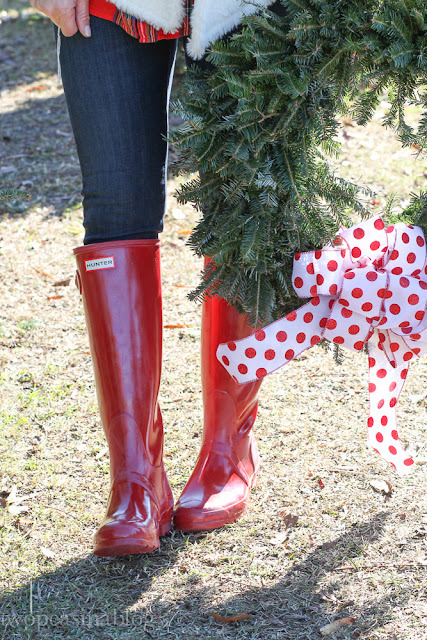 Beautiful Christmas tree picking look, those Hunter boots are so enticing! Rachel, thanks for stopping by! I'm so glad I got these boots last year, the add so much fun to a look. I love this look! Perfect for holiday tree shopping! We also have a fake tree in our house, but I'm hoping someday we'll take the time to get a real tree, they smell so good! Rachael, thanks for stopping by! As much as I'd like a real tree, I don't want the mess that it brings! I really love that jacket, that material look so so cozy! It looks great paired with the red and so holiday perfect! Thanks for the sweet comments. The jacket is super soft and will be great all winter! We will for sure stop by your blog! I love this look its so cute and the beanie is perfect! Bella, thanks! Glad you stopped by. Love the bright holiday look. Comfy and chic. Sheree, thanks! I love wearing bright colors in the winter! And red is perfect for the holidays. Just adorable! Love the wreath and bow. Made it picture perfect!! Thanks Lindsay! Glad you stopped by the blog. I always wanted a real tree maybe one day I finally get one! I love your look especially your scarf and jacket! This look is adorable! I am in love with all the red and the white jacket sets everything off perfectly. Def the perfect Christmas outfit! Um, how adorable is this! I love the pop of reds, it's so festive. great job! !